Now, I have a lot of experience in this area, being that I’m in a new place every two years. So I’m going to make a nice easy list for you all. Try as many of these things as you can, and let me know in the comments which has given you the best results. If you have anything further to add to the list and you like me to edit it in, please send me an email /message and I’ll get that sorted! 1. Get a Facebook page. In this day and age, we are super lucky to have this absolutely free platform right at our fingertips. In my opinion, it’s the number 1 way of gaining clientele by showcasing your work, and providing potential clients with all the important information about your company. If you haven’t already, you need to set up a business page and use it to its full potential. I will talk about ways to do this as we move down the list. 2. Link your personal Facebook profile to your business page. People are nosy by nature. When I see someone post something on a public group, and I like what they have to say, whether it’s related to nails or not; I go to their personal page and have a nosy at them. On my Facebook profile, you will see that I am employed by myself and if you click on my business link, it takes you straight to my page. My personal page is pretty private, but when I share my nails to my personal page, I make it public, so any strangers stopping by for a nosy will only be able to see my business page posts that I personally shared. 3. Get potential clients in your area to like your page and stay active on it. Having links to your business page from your personal page will encourage people to look at your work and like your page. But there’s other ways you can do this too. Posting things to local selling pages like pictures of your work, special offers, competitions, funny nail related memes etc will also bring the people in to your page. Once they are there, they need incentive to stay though. So having a pinned post with special offers for Facebook page likers is a good place to start. Even if they aren’t looking to get their nails done, they will want to like your page so they have already checked that off the list for when they do need nails. 4. Keep your page active and engaging. Posts that encourage people to engage are best. Things like- find your funny nail Polish name, like and share competitions, vote for the best set of nails, inspirational quotes, and funny memes are some of the ones I have had success with in the past. Of course you want to have a balance between engaging posts, pictures of your work, and appointment availability. Too much of one thing or another will bore people and they will bugger off. The more people engage with your posts, the more likely Facebook is to show them on their news feed, so you really want people liking and commenting on your stuff so they know who to turn to in the event they need their nails done. Here is an example of a good picture. and here is an example of a terrible one below. Same nails, but very different looks! This is one that I can’t stress enough. People buy with their eyes. 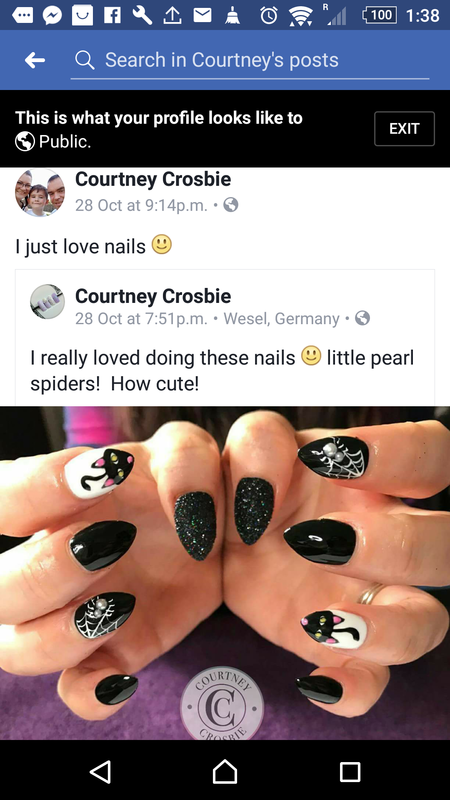 You might be doing awesome nails, but if you are taking terrible photos, you’re not going to get noticed. I am not a photographer, but I have taught myself the basics. I spent a lot of time analysing photos from very popular techs. Thinking about the angles, the lighting, the negative space, the background etc. Practice taking photos…. a lot. Make your photos just like those who you admire most. If you can’t figure it out, ask those who have already figured it out for some constructive criticism on your photography. Us nail techs are mostly a helpful bunch and will be happy to share our tricks. 6. Share your work on your personal page. Right this is getting confusing, but you can see how the ripple effect works. That right there is better than a Facebook boost. If you notice no one on your friends list is engaging with your posts, don’t be scared to ask them to like the photo. They are your friends after all. Just message them a link to the photo and say… “hey friend! like my post please” . Ofcourse they’re going to, and so begins the ripple effect. 7. Tag clients in the pics of their nails. 8. Ask 5 friends to share your posts. As I said before, you’ve got friends, who have friends, who also have friends. Your network is bigger than you think. When you run a competition, or post an engaging meme; ask 5 friends to share it. They won’t mind. And if they do, well, they are no friends of yours so get rid of them. 9. Have all information like price lists and opening hours on your page. It’s all well and good to have a Facebook business page, but if you’re just posting pics and stuff, you’re not using it to its full potential. Pin a copy of your price list to the top, or use the integrated Facebook features that show your prices and opening hours. Some people don’t like messaging people to ask a question if they don’t want a set of nails RIGHT NOW. But they might know that they would only ever be able to get them on a Saturday, or an evening. If they see that you are in fact open on evenings and Saturdays, they’ll want to remember that so they will like your page or maybe even save it. As for the price list, well, I’ve had dozens of people message me for a copy of my price list. So it’s just easier to have it right there at the top of your page. It’s like going to a restaurant and having to wait for the server to bring you a menu. It’s always nice when it’s already on the table. 10. Post before and afters. Another thing that you can post on your Facebook page to get people to trust your skill , is before and after pictures. When they see 2 weeks or more of growth and no chipping or lifting on Alice’s nails on your Facebook page, it will give them the confidence needed to book in. Its as simple as that really. So, you have A-LOT of available appointments this week and you need to get them filled quick. Do a flash sale on your social media. If Alice was on the fence whether to get her nails done or not, shes going to be more inclined to now that she can get a discount. And lets face it, you had the empty appointments anyways, so better to fill them at a discount then to not fill them at all right? 12. Offer something that other salons in your area don’t offer. For this, you are going to need to do some research. Adding that little extra will make you stand out from the crowd. Find out what services other salons offer. If you’re offering just the same, you need to kick it up a notch. A night of mobile services, luxury manicures, hot paraffin wax treatment, nail biters specials, sculpted extensions, group specials, hand and arm massage, intensive cuticle care, loyalty schemes, refer a friend discounts, weekly specials, personalised nail art, and half price eyebrow wax with a set of nails are some of the things that I focused on to set me apart from the rest. And did you know, that most nail technicians don’t offer pedicure services? It’s true and it’s a really good way to get the clients foot in the door so to speak. I know, feet are gross, but money is good. So get offering this as a service and make it known that this is available. Especially in the spring/summer. 13. Have business cards made and place them everywhere you can. 14. Use business cards in a refer a friend system. You can have your business cards printed with a blank back side (it’s cheaper) and use them as a refer a friend system. I write my clients name on 3 business cards. I tell my clients to hand out these three cards to their friends and when their friends book in and I get all three cards back, they will get something as a thank you. It can be a free set of nails, free nail art, an extra loyalty stamp on their next visit, a free pedicure with their next treatment… Whatever you are comfortable with and think will be appealing to the client. And ofcourse, all three of those referrals get 3 business cards each to give to their friends. You can even set a bigger goal, for mass referrals. Once a client has referred 9 people for example, they get something BIG. This could be non nail related if you like. A luxury bath set, a 20 pound Costa card, I don’t know, use you imagination here. Realistically, if someone brings in 9 people who have a 30 pound service they’ve just earned you at minimum 270 pounds. So you can afford to spend 20 bucks on something really special for them that they wouldn’t normally buy themselves. And as an added bonus, they will no doubt tell their friends when they are buying the round of coffees with a card they earned from you, and their friends will want in on the action too! 15. Donate services to a charity auction. This is a great way to plant a little seed in your area with people who wouldn’t normally necessarily get their nails done. Often schools and churches have special events in which they raffle off prizes in order to raise funds. Get some vouchers printed and reach out to these people offering a package for auction. It’s not going to make you any money initially as it will be a donation, but anyone who goes to that event is going to see your company name while looking through the raffle items and voila, the seed has been planted. Next time they need a nail tech, they’re coming to you. And not to mention, the person who wins your item will no doubt love their nails so much they become a regular client. Even the people who were outbid may very well contact you for an appointment because they had their hearts so set on winning that little pamper session. 16. Put photos of your work on bulletin boards etc..
One of my biggest mentors (even though she probably has no idea) is Amy Masters. She mentioned in a live feed, that she had photos printed of her work, actual old-school photos on paper ( yes, you can still do this 😂) and she put these up locally in place of business cards. People ofcourse loved what they saw and they brought the pics in to her asking for the same look. Ofcourse, you’re going to want to put your contact details somewhere on these. I guess you could attach a business card or simply write your details on the back. I haven’t personally tried this, but it sounds like a fantastic idea and if Amy says it works, it does! 17. Talk to people when you’re out. I am probably one of the most friendliest people anyone knows. I smile and say hello to 99% of people I see in public. I once got sucked into doing 16 weeks of Jehovahs witnesses lessons as a result. I never did convert, but I did gain a handful of clients and made some lovely friends. But that’s another story altogether. I know we were taught not to talk to strangers, but your grown now. When you talk to random people, you’re growing your circle. Even if your chat is non nail related, you’re planting a seed for your image. When that random person comes across a nail related seed you planted like a public post, or they land on your business page, they will see your face and think ” that’s that lovely girl who took the time to tell me she liked my top, or helped me reach that can of beans in Tesco. Automatically they will be more inclined to visit you when they want their nails done. 18. Set up tables at local fayres. People love a bargain. It’s the best way to get attention. All companies in sales do it at one time or another. One great way of benefiting both you and the client is to run a special where the client gets a discounted price but you get to pick the design and shape and length. This way, they’re getting a discount but you’re also practising skills you don’t usually get to, and showcasing your potential while adding to your portfolio. You don’t have to necessarily discount the price of a service though. Adding a free item onto a service that’s being paid for in full is the best way to give the client something extra while still earning a living. Throw in a mini pedi with regular Polish, free nail art, free luxury treatments onto top of a regular gel mani etc.. Use you imagination and don’t be afraid to ask clients what it is they would like to have but aren’t keen on paying for. These are things that will give you the edge when someone is deciding between booking in with you, or Carol down the road. 20. Build a relationship with your clients. I’m not talking about becoming best friends and going out for meals and play-dates with them all here. But you need to build some kind of relationship. Talk to them during their treatment. Find out what they like to do, share funny stories about your life, let them know that you’re just another human being too. Remember small details and follow up during their next appointment. Maybe Sally mentioned during her gel Polish manicure that the boiler was on the blink, she was having issues with the landlord sorting it out. You shared a similar story… You bonded… When you see Sally again, ask her how she got on, she will feel like you have really taken an interest in her life and it shows that you see her as more than just 20 bucks every two weeks. 21. Trade services with a hairdresser. Contact a few (or even all) the hairdressers in your area and ask them if they’d be interested in swapping services. Walking advertising right there. Even if they don’t want to swap, maybe they’d like to let you experiment with a new design at a discounted price or would let you test the longevity of a new product at a very low cost to them. People who get their hair done at the hairdressers typically have a disposable income and are more likely to be the type of people to get their nails done. So when they see their hairdresser has a banging fresh set of nails, they are going to fill the inevitable awkward silence with questions about them and BOOM. Seed planted. Maybe you can offer a discount code to the hairdresser to pass on to her clients. This can be a bit tricky because some Facebook groups don’t allow advertising, but if they do, post something on there once a week. Availability, pictures, special offers.. Anything. Plant a seed. You can also use platforms like schpock, or Craigslist or whatever other buy sell groups you know of. Most of the time it is free to post an add on these sites and there will always be paid options to boost it as well. When I registered with Google and put myself on the map, I was inundated with phone calls from local magazines and papers asking if I wanted advertising. Of course these cost money, but it’s not a bad idea. And if nothing else, the people who called me that worked for the magazines, saw my name and checked out my work. I also had people find me on Google search engines because I was local to their area and already in the Google system. It’s free by the way. This is pretty basic. Get some cards printed out and give clients a stamp for every full set or every treatment ( you pick what to reward them for) when they get enough stamps, they get a discount or a free set. I give a stamp for every treatment, and when they get 5 stamps, they get 25% off their treatment. When they get 10 stamps, they get a free full set/gel Polish whatever they normally get. 25. Offer a discount to employees of a company of your choice. You can email local companies like cafes, grocery stores, hospitals, schools, pet stores, just anywhere really, and let them know that you really appreciate them being in your area, and you’d like to show your appreciation by offering a discount to their employees. You could just pick a couple companies and always give them a discount, or you could let them know that every month you select a new company to offer this discounted service to ; and for the month of September (for example) you have chosen them and their employees. Imagine if 10 employees took advantage of the discount and then liked their nail so much that they continued to pay full price even when you moved on to a different company. There’s a lot of potential here. 26. Donate a percentage of your income to a charity. A lot of companies use charity donations to motivate people to shop with them. This works especially well if you support a local charity. Ask the charity if it’s OK for you to advertise that you will be donating a percentage of your income to them. They may have an upcoming fundraising event you can take part in, they might have an advertising platform already that they could plug your business on, or.. You can just advertise yourself, about the charity and let people know how you’re helping them by making a donation for every set of nails. Lots of feel goods for everyone here. 27. Do a free set on a bartender in exchange for her handing out your cards. Drunk people talk to bartenders. There’s no denying it. Offer a free/discounted set of nails to Bella behind the bar at Smokey Joes in exchange for her handing out your cards when people mention that her nails are on fleek. 28. Plant seeds and water them. I’ve talked a lot about planting seeds. What I mean is this. Not every ones life revolves around nails (crazy I know) but everyone at some point in the year is going to contemplate getting their nails done. When you post things, talk to people, make your circle bigger, you’re planting a seed. I hope that makes sense. It’s a very odd place inside my brain. You need to figure out what kind of people are likely to book appointments at certain times and use this to your advantage. OK, so you are having trouble filling those daytime slots when all the kids are in school. Well guess who isn’t in school? The mothers of those precious little bundles of joy. These people frequent soft play areas, coffee mornings, coffee shops, grocery stores, parks etc.. Put your advertising in these places to reach them and mention on your advertisement, you are currently running a special for appointments booked between 9 and 1pm. Do you see what I’m doing here, targeting the people who are most likely to need services at the times when I am slow, and giving them a one off reward for choosing me. You can also target people during times of need, like around Christmas time. People go to Christmas parties. 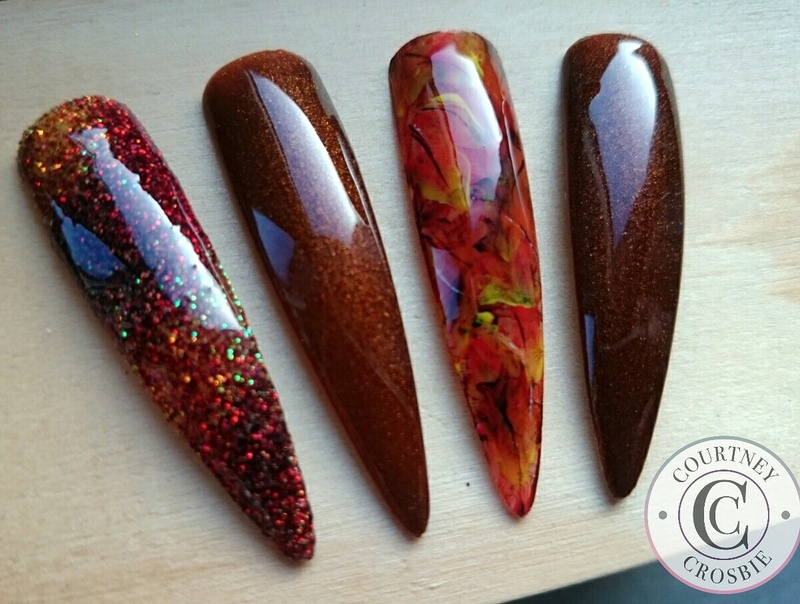 Make your advertising about customising nails to match a dress/shoes etc. Show an example of a set you created to match a dress in the past. Remember, people buy with their eyes. 30. Work stupid hours to accommodate people. When I first move to a new place, I offer appointments at every god given time that I possibly can. I want to get people in, I want to get them hooked ( WOW I sound like a drug dealer ) Once you get a steady flow of clients, you can then adjust your hours. People will be more likely to find time in their day to get their nails done, if they have already had 5 sets off you and know that the quality of your work is worth it. 31. Discounts for block booking paid upfront. Free set if you pay for 4 sets. Repeat customers who have quite a bit of flexibility with their cash flow will like this one. Pay for 4 sets of nails and receive your 5th set completely free. This would be handy if you had a big bill to pay, or if you wanted to buy a piece of equipment that was quite expensive but you didn’t want to save up for it. Of course you are going to want to protect yourself here with disclaimers like ” can not be used in conjunction with other offers ” etc.. and have something in place in the event that you OR the client needs to reschedule, so that neither of you are left feeling hard done by. This is something that will just happen. Once Alice comes and gets her nails done, she is going to tell her friend Susan the funny jelly bean story of how she saw you in Tesco one day, and then Stella had a banging set of nails off you last Friday night, so she went to get her nails done. She never used to get her nails done but she wouldn’t be without them now. They last for ages and you’re such a lovely person, she really enjoys going to see you every two weeks. Alice will tell Susan about the awesome specials that you run sometimes and how she got her last set of nails for 30% off because of a Flash sale you did on Facebook . She will say, “Susan, Ill send you the link to her business page” Susan will go look at it and see that you did a set of Christmas nails last year that would go perfectly with the dress she is wearing to the works Xmas function. The rest is history. 34. Offer treatments at care homes. Old people are some of the loveliest people I know. They really have a special place in my heart. And you know what? They need their nails done too! Contact local care homes and ask if they would be interested in you coming in once a week or once a month to offer your services to them. Now, they may not want flashy nails, and you may very well have to offer a significant discount because they honestly don’t have a lot of money. But you know what they do have? Children, who have children, who have friends. So do grannies nails, its going to be the highlight of her week having fushia pink nail polish and shes going to tell her daughter (age 40) when she comes for her weekly visit. She will then book in with you as a result of her moms recommendation, then her daughter (age 25 ) is going to book in with you, then her friends will etc.. so, did it really matter that you did grannies nails and barely made a profit? No. Because old people talk , something fierce. They live for it. And you get the feels for doing grannies nails and the look on her face every week when you make her feel a million bucks. 35. Promote the heck out of every single holiday. Its a well known fact that people get their nails done for the holidays. I’m not talking just about Xmas here either. You can do nail art for every single holiday. New years, Valentines, St Patrick’s day, first day of spring, Summer work functions, summer holidays, back to school, Halloween, Remembrance day, Thanksgiving.. and the list goes on. These are just off the top of my head. 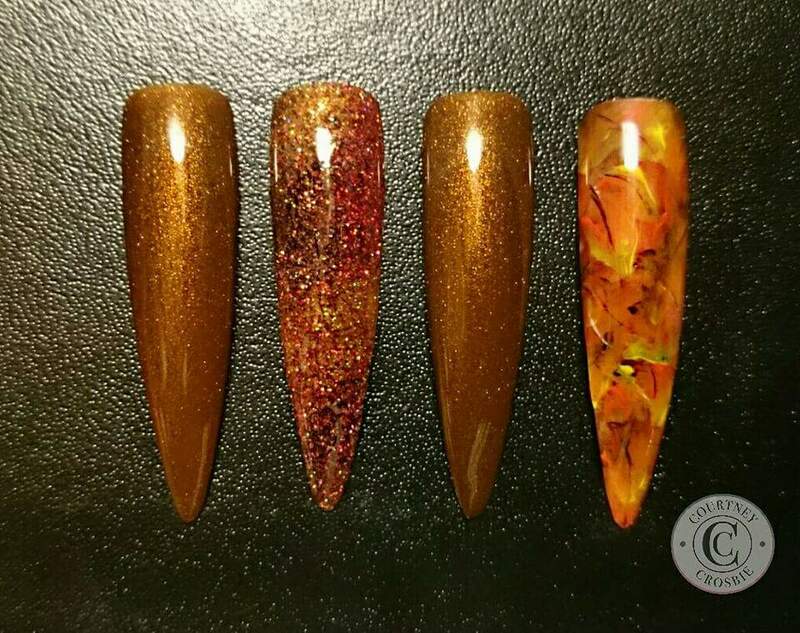 I bet if you got a list of all the holidays in the year, you’d be able to create a set of nails to match them all, then run a special for each one when the time comes! 36. Trade with radio stations. This isn’t something that I’ve done, but I have read of other people doing it. Call or write to local radio stations and ask if you could do a service trade, you provide nails for 6 employees and they run an advert on their station free of charge for a month ( or whatever it worked out to so both of you are benefiting) Radio adverts can be very costly, and that is because they work. So its a great idea to get a trade going if possible. Its all well and good to have a Facebook page, but remember that not everyone has Facebook. Some people log on to google and search ” nail techs in my area” . If you have a website, you’re likely to pop up in their search results. They go to your website, see that you are awesome, find your contact details easily and BAM. Bobs your uncle. 38. Pick one thing and get really good at it. You should become a specialist in at least one field. Whether it be super clean gel polish application, sculpted extensions, intensive cuticle work, amazing pedicure services, or catchy nail art. You should be known specifically for one thing that you are better than anyone else at. This will get people talking, and will help to bring in customers that will appreciate your skill set. 39. Make friends with other local techs. A lot of people see other techs as competition. I like to reach out to them. Call them, or send them a message and let them know that you love their work and you’re looking for someone to recommend to your clients in the event that you can’t accommodate them. They will be pleased with the compliment, and next time they have a client they can’t accommodate, they will send them your way. Go on their Facebook page and like their posts, they will in turn like your posts, which will plant seeds along the way. Yea, you will be planting their seeds too by liking their posts, but were all in this together. The right clients will find the right techs. And who knows, maybe “nightmare Nancy” that you don’t particularly get along with would prefer going to your new contact and save you the hassle of sacking her as a client. 40. Re-book clients before they leave. Its always a good idea to get your diary out while the client is paying and let them know what availability you have in two weeks. 5 times out of ten, they will re-book on their first visit. Once they have had a few sets off you and are confident they are getting their moneys worth, they will 9 times out of 10 book their next appointment before they leave if you ask! So, I could probably go on for ages about this topic. but you’re probably halfway to your grave already, reading up to 40 so we will leave it at that for now. I really want you to try as many of these things as you are comfortable with and let me know what has worked best for you! Subscribe to my YouTube channel for more nail tech tips and tricks! Great ideas and info. Definitely will try some of these. This was brilliant, thank you 😊 will definitely try. Hi! You have some pretty creative and original ideas! Can only imagine that they will be quite effective! Thank you so much for taking the time to write it all up and share with us.